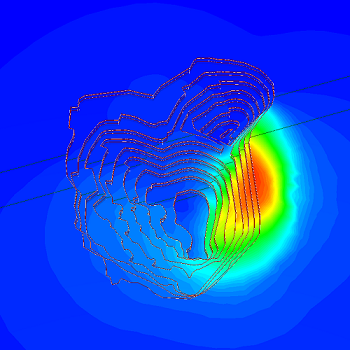 RS3 (formerly RS3) is designed for 3D analysis of geotechnical structures for civil and mining applications. Applicable for both rock and soil, RS3 is a general-purpose finite element analysis program for underground excavations, tunnel and support design, surface excavation, foundation design, embankments, consolidation, groundwater seepage and more. The newest features in RS3 include dynamic analysis and automatic shear strength reduction. Three-dimensional model geometry is built with CAD tools or by importing 3D files such as DXFs. RS3 offers complete flexibility for staging of excavations, support installation, loading and all other modeling aspects. Models with up to several hundred different stages can be analyzed with RS3. After the analysis is computed, RS3 offers numerous options for viewing and displaying results in 2D and 3D (e.g. displacements, pore water pressure, stresses, strains, flow vectors). You can contour results on excavation surfaces or user-defined viewing planes, plot results along any lines, plot detailed support forces and displacements, and plot differential results between stages. Results and images can be exported and customized for presentations and reports. 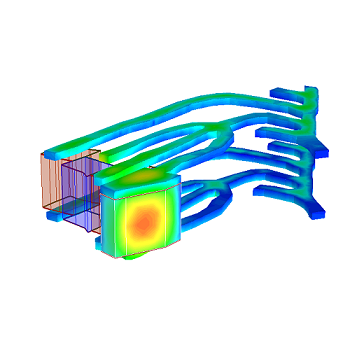 RS3 v2.0 features significant upgrades and improvements from v1.0, including the ability to import 3D geometries, fully automated Shear Strength Reduction, dynamic analysis, and more. With RS3 v2.0, the modeling interface has been completely redesigned to deliver completely 3D models. This means that users have complete freedom in shapes, orientations, surface geometries, and more. Model open pit mines, tunnels, surface structures, subsurface elements, and much more. 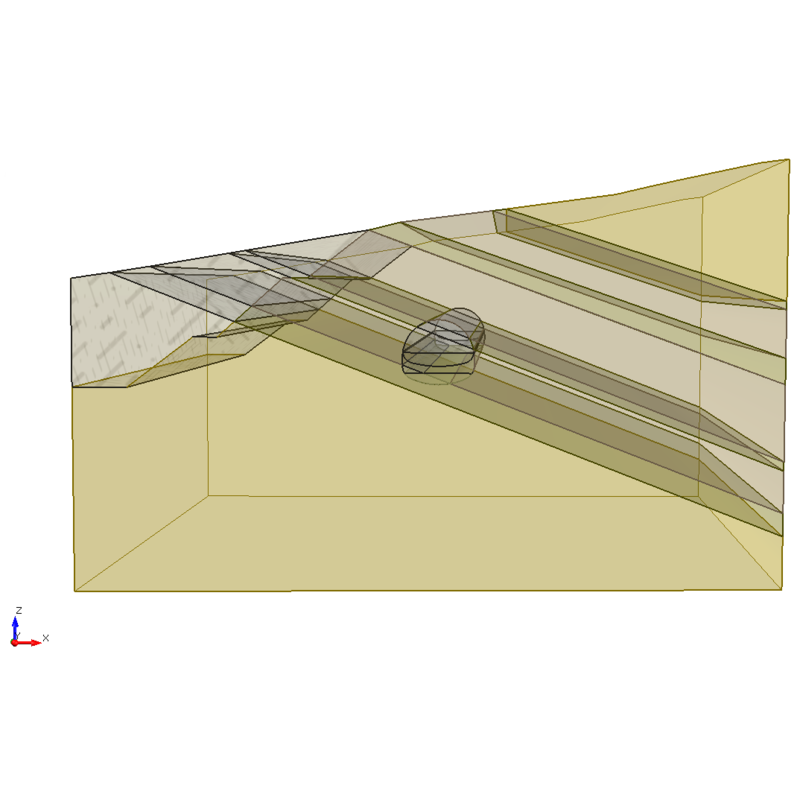 Nonhorizontal layers, cross-tunneling and complex surfaces can all easily be incorporated into the same model. With increased complexity of geometry, robust meshing capabilities add accuracy and precision to analysis results, RS3 v2.0 allows users to generate the finite element mesh with a single click or customize it to user specifications. With a higher level of customization, users are able to refine the mesh and customize the mesh density at critical regions of the model. With the added borehole functionality, the creation of complex soil stratigraphy and non-horizontal layers is simple. Using the newly incorporated Borehole Manager tool, profiles can be imported from borehole log data and applied to the model. With RS3, users have complete freedom in shapes, orientations, surface geometries, and more. With the ability to import geometries, and to create new geometries yourself, models can be conformed exactly to users’ specifications with ease. 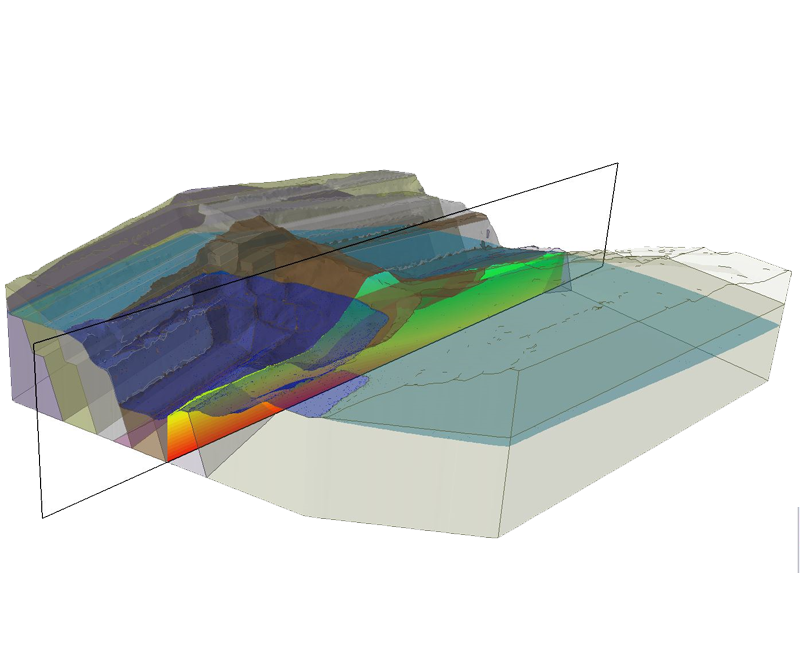 With this flexibility, multifaceted models like open pit mines, with complex surface topography and multiple material layers, can be easily created. In RS3, models are created in 3D. This adds increased versatility to the modeling of tunnels, surface structures, and subsurface elements. Nonhorizontal layers, cross-tunneling and complex surfaces can all easily be incorporated into the same model. A key feature of RS3 is finite element slope stability using the Shear Strength Reduction (SSR) method. This option is fully automated: with a single mouse click, you can run the SSR analysis and determine the critical strength reduction factor (safety factor) of a slope. Drained: Time-dependent drainage is allowed. Fluid can move into and out of the model, total volume (void and soil skeleton) can change. Drainage is a function of time. Excess pore pressures can exist. Transient pore pressure state. Undrained: Fluid cannot move into or out of the model. Zero volume change. Excess pore pressure is a function of applied loads. Fully drained: Zero excess pore pressure. Drained analysis at infinite time. Steady-state result. 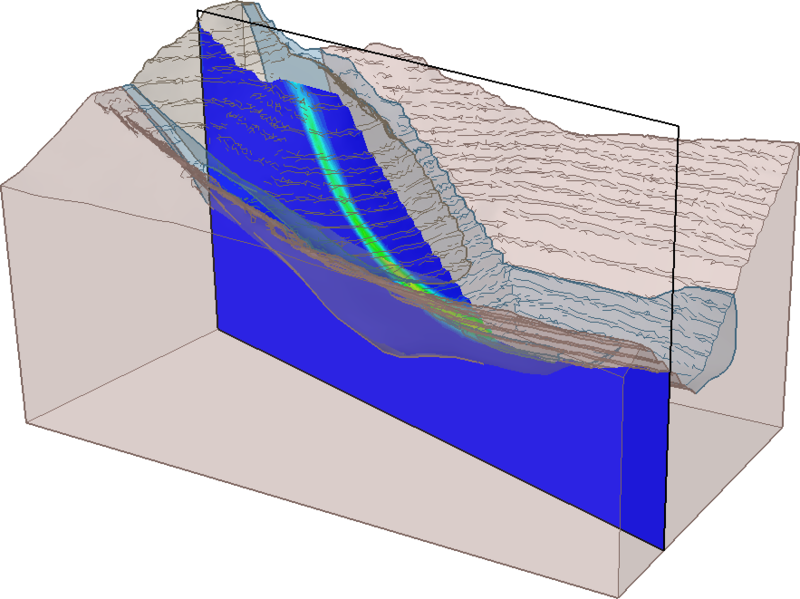 For groundwater modeling, three-dimensional finite element seepage analysis can be used to determine groundwater pore pressure and flows for steady-state or transient conditions. The groundwater analysis is fully integrated with all other aspects of the program, and can be used in conjunction with stress analysis, or as an independent groundwater seepage analysis. For the design of geotechnical support systems, RS3 offers a wide variety of support elements including bolts, liners, beams, and piles. These can be used in any combination for the support of excavations, slopes, foundations, retaining walls, and embankments. Bolts in RS3 are one-dimensional support elements which can be used to model a variety of bolt types commonly used as support elements for excavations, slopes, retaining walls and other geotechnical structures. Three liner types are available in RS3: Standard, Geosynthetic, and Reinforced Concrete. In RS3, you can model three dimensional piles, forepoles or other similar support. In RS3, a pile is simulated as a beam. Therefore, beam properties are used when defining pile properties, such as Young's Modulus, Poisson's ratio, and the pile dimensions. Beams in RS3 are three-dimensional support elements that can be used to model a variety of support types including steel or concrete beams, steel sets, piles, trusses or similar support elements. Beams are also used as the basis of pile support in RS3. Piles are beams with additional properties to account for the interface strength and stiffness.